Nintendo is betting big on mobile gaming. Finally. 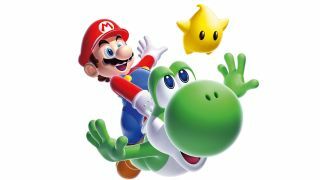 We already know that Nintendo is entering the smartphone game market by releasing its first mobile title, in partnership with DeNA, this year, but in a meeting with investors CEO Satoru Iwata revealed what we can expect beyond that. Nintendo plans to release five mobile titles by March 2017. Iwata acknowledged that this might seem like a small number, but "we aim to make each title a hit, and... this is not a small number at all and should demonstrate our serious commitment to the smart device business." Iwata also underscored Nintendo's determination in releasing quality mobile games – rather than simply porting existing games to smartphones, saying "if we were simply to port software that already has a track record on a dedicated game system, it would not match the play styles of smart devices, and the appropriate business models are different between the two, so we would not anticipate a great result." In sum, it's good news for anyone who's been worried that the Japanese game maker would cut corners in a bid to chase mobile money.